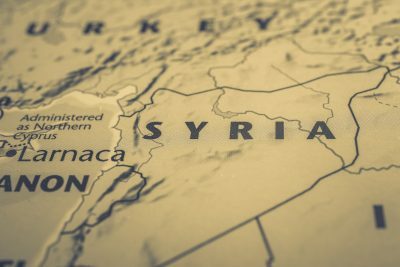 The collapse of Syria, which began some four years ago and continues to happen before our eyes, caught Israel in a state of geopolitical-historical blindness. The irrational concept of an “agreement with President Bashar Assad” – which was supposed to lead to the removal of Syria from the “axis of evil,” in exchange for letting it paddle in Lake Kinneret – was replaced quickly and without the necessary process of drawing lessons by an alternative concept, which was also dictated by the defense establishment. The Israeli interest was reduced to the tactical “comfort zone” of preventing the transfer of advanced weaponry from the Syrian regime to Hezbollah, accompanied by a sigh of relief when the international community intervened to get rid of Syria’s chemical weapons. The virtuoso use of military technology to destroy pinpointed targets allowed Israel’s strategic-diplomatic leadership to fail to grasp the importance of the opportunity, refraining from adopting a broad, David Ben Gurion-esque historical vision. 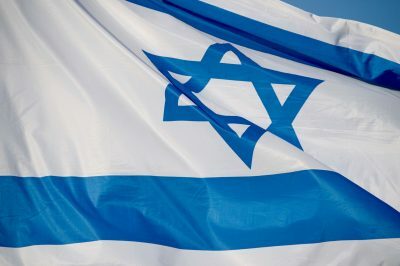 Consequently, it ignored the first real opportunity in nearly 50 years to conduct a constructive dialogue with the international community over a change in Middle Eastern borders and recognition of Israeli rule on the Golan Heights, as part of the global interest in stabilizing the region. The swift and enormous changes in the Middle East have not been kind to the Israeli strategic establishment, which in recent years has done a great job of assessing yesterday’s wars. Syria used to exist, but soon will no longer exist. The validity of the arrangements that defined the borders and the countries in the Middle East after World War I has expired, and the region can now expect many years of instability. In such a situation, Israel must reformulate its geostrategic interests – not only on the Syrian front – by looking far into the future, rather than deep into the past. fortunate enough to live on the Israeli side of the Golan Heights are entitled to full Israeli citizenship. Nor is there a “demographic problem” there: the region has a Jewish majority, with some 25,000 Jewish residents. Above all, there is no alternative to Israeli rule on the Golan, even in the long term. There should now be a process of “coordinating expectations” with the international community, regarding alternatives for government in the area between the outskirts of Quneitra and Lake Kinneret, in an overall context of stabilizing the region: Neither the Islamic State (also known as ISIS or ISIL), nor the jihadis of Nusra Front and Al-Qaida, nor a crude foothold of Iran-Hezbollah-Assad in the Lake Kinneret area, will enable the stabilization and rehabilitation of the region. There is no horizon on the Golan Heights other than the Israeli one. The imminent nuclear agreement with Iran – which is a bad deal – also creates a concrete opportunity to discuss the issue. 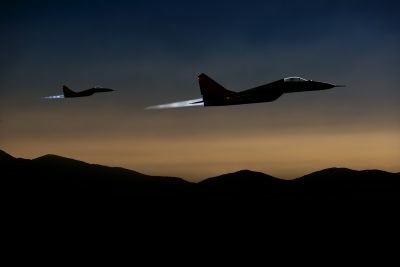 It is doubtful whether Israel can influence the signing of the agreement, but it can exert real influence in the “discussion on compensation.” It would be a historic failure if Israel focuses once again only on the tactical needs of advanced weaponry. The balancing formula in light of the Iranian achievement (and Assad’s murderous behavior) must include a maximum reduction in the danger of Iranian nuclearization, along with containment of Iran’s potential for conventional aggression. This can be done by creating an international agreement to finally shelve the Shi’ite-Alawite aspiration to regain control of the Israeli Golan, which constitutes less than one percent of the area of what used to be Syria. The requisite strategic collateral is an “American pledge,” including with regard to the Golan, with a presidential guarantee and Congressional legislation to ensure Israeli rule there. In 1975, U.S. President Gerald Ford made a presidential promise in writing to then-Prime Minister Yitzhak Rabin, which included American recognition of Israel’s need to remain on the Golan Heights, even in peacetime. Forty years on, in light of Syria’s collapse, the Islamic State’s takeover of huge areas in the Middle East and the “rotten compromise” expected with the Islamic Republic of Iran, the achievement that Israel needs and can attain is to update the international stance, and ratify and upgrade the U.S. stance on the Golan.